Thylacine designed, engineered and fabricated object mounts for objects and artworks from the Pacific, Latin America, Indian and South East Asian collections for the NGA’s new galleries. The display involved resolving many challenging mount designs for a large range of objects. 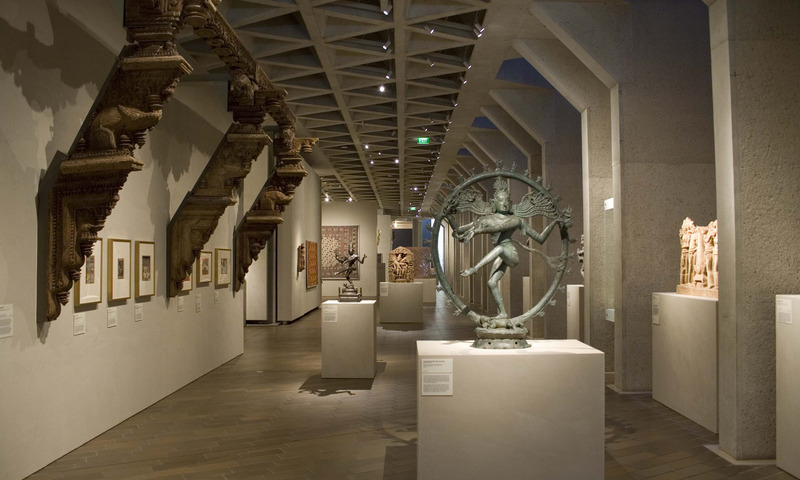 A large, delicately woven ceremonial mask appears to float out from the wall with no support, while a 14th Century carved wooden side of an Indian temple cantilevers from two open display walls so the viewer can walk beneath the object. All mounts were custom designed and visually discreet.